As populations increase, so does the volume of material people consume and dispose of. In the last 30 to 40 years, the amount of municipal solid waste has grown exponentially — more than doubling. In 2009, the EPA estimated residential waste to be 55 to 65 percent of total MSW generation. Waste from commercial and institutional locations, such as schools, hospitals, and businesses, amounted to 35 to 45 percent. Total MSW generation (before recycling or composting) was 243 million tons. Of that, 28% was paper and 12% was plastic. While paper had the highest recovery rate, plastic had the lowest recovery rate of all product materials. Containers and packaging made up the largest portion of MSW generated — almost 30 percent, or about 72 million tons. Landfill space is limited and unsustainable. While municipal solid waste generation rates have increased, the capacity to handle these materials has declined in many areas of the country. 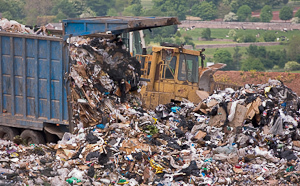 Many landfills have closed because they are full, others are near capacity with no room to grow. Currently, in the United States, 33.8 percent of MSW is recovered and recycled or composted, 11.9 % is burned at combustion facilities, and the remaining 54.3 % is disposed of in landfills. In the last 20 years, the amount of municipal solid waste disposed in our landfills has been substantially reduced due to recycling and composting — decreasingfrom 89% to 54%. Up until 1990, less than 15% of municipal solid waste was recovered. Growth in recovery rates reflects an increase in infrastructure and market demand for recovery over the last decade. In 2009, according to the EPA, we recycled and composted 82 million tons of material, up from 15 million tons in 1980. This prevented the release of approximately 178 million metric tons of carbon dioxide equivalent into the air — comparable to taking 33 million cars off the road for a year. Biological decomposition is a natural process that began with the first plants on earth and hasn’t stopped. Vegetation falls to the ground, and while it slowly decays, it provides minerals and nutrients to plants, animals, and microorganisms. Composting is the controlled biologicaldecomposition of organic (or carbon- containing) matter by microorganisms (bacteria and fungi) into a stable and useful humus material. The term “controlled” refers to the process — accelerated decomposition with optimal efficiency and minimal environmental impact. Well-run municipal and commercial compost facilities collect organic materials: yard trimmings, agricultural waste, paper, food scraps, compostable packaging, containers and cutlery. The material is frequently shredded so the pieces are uniform. It is then broken down some more and contained in a pile of solid waste, called “feedstock”. Operators introduce and maintain an optimum level of oxygen, moisture and heat to make the material a perfect habitat for microbes. 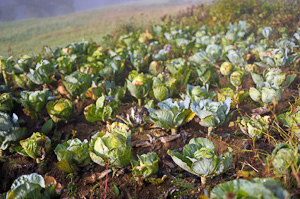 The microbes grow and multiply — eating the raw material and transforming it into compost in 180 days or less. 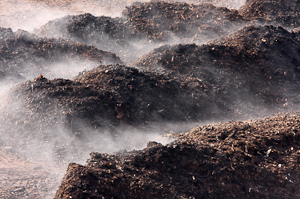 Compost has the ability to regenerate poor soils, encouraging the production of beneficial microorganisms. It can also remediate contaminated soil by absorbing odors and treating semi-volatile and volatile organic compounds (VOCs). Diverting organic waste from landfills, compost lessens reliance on this method of disposal while extending landfill life. A low-cost alternative to landfill cover, compost reduces methane and leachates released into the air. Its absorbent qualities also help prevent pollutants in storm water runoff from reaching surface water resources. In the agriculture business, it can reduce the need for water, chemical fertilizers and pesticides. As communities search for safe and sustainable ways to manage municipal solid waste, composting has become a more attractive option and an important component in overall solid waste management strategy. The amount of money saved through composting can be substantial, especially in communities where landfill or combustion capacity is scarce and tipping fees can exceed $100 per ton. And these reduced disposal costs can help improve your business bottom line. Recology San Francisco reports many local restaurants are composting over 75% of their waste and, combined with recycling incentives, are getting up to 75% discounts off their garbage bill. Further south, in a Santa Barbara mall food court, the switch from no diversion to 66% composting food scraps alone is saving the management over $13,000 per year. Like many cities, Santa Barbara encourages restaurants to switch to compostable containers and serviceware to further increase their savings. Municipalities have a variety of good reasons for offering compost incentives, from producing a revenue-generating product to generating new “green” jobs. 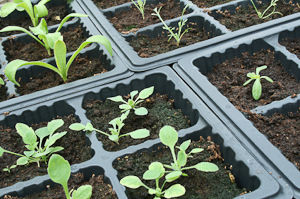 Look for bioplastic products that meet ASTM standards for compostability to ensure that municipal and commercial composters can accept the products you purchase. The ASTM Product Certification Program, sponsored by ASTM International, is one of the largest voluntary standards development organizations in the world and a trusted source for technical standards for materials, products, systems, and services. At the direction of ASTM, a product is tested by a certified third-party laboratory to determine its ability to conform to one or more standards, such as compostability. It only becomes certified if it passes the test. Compostable products may carry one of two ASTM certifications: D6400 for plastic films and bags, and D6868 for packaging like coated paper and boards. BioMass Packaging verifies all of our products that meet ASTM standards. Wooden cutlery, some paper products, sugarcane bagasse or paper pulp plates, bowls, containers, trays and clamshells are all municipally compostable. Some can even be composted at home or business. Check with your local composting program to learn what their specific requirements are and the types of compostable products that they accept. Contact the city or county municipality responsible for operating your local waste management program. Haulers can also provide information about composting options and incentives. Or visit findacomposter.com to find a composting facility near you.